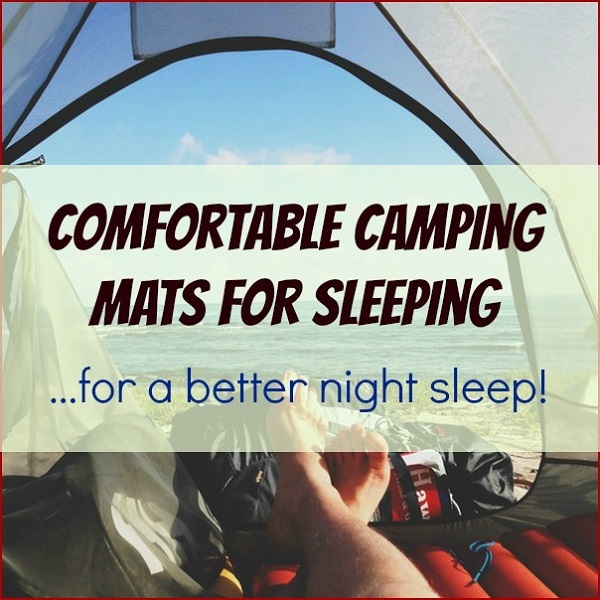 Best Cots for Camping to Help You Sleep Comfortably! We are going to take a look at some of the best cots for camping today. One of the biggest complaints most families have when tent camping is the discomfort of sleeping on the ground or on air mattress. In most cases, sleeping bags even with sleeping pads do not give a person much cushioning from the hard ground and air mattresses can lose air often leaving campers waking up laying on the tent floor. Finding a good cot for tent camping can really make the entire camping experience more comfortable and fun. Here is a look at the best cots for camping on the market today. Coleman ComfortSmart Deluxe Cot This Coleman ComfortSmart Deluxe Cot comes with a heavy duty steel frame and a thick foam mattress. This cot measures 30” X 80” X 15” and comes with a 1 year limited warranty and can bear weights up to 300 pounds. Ratings and reviews for this cot are exceptionally good. And most people who purchased this cot find it to be incredibly comfortable and sturdy. The cot is high quality and far more comfortable than using just a sleeping bag or even an air mattress. 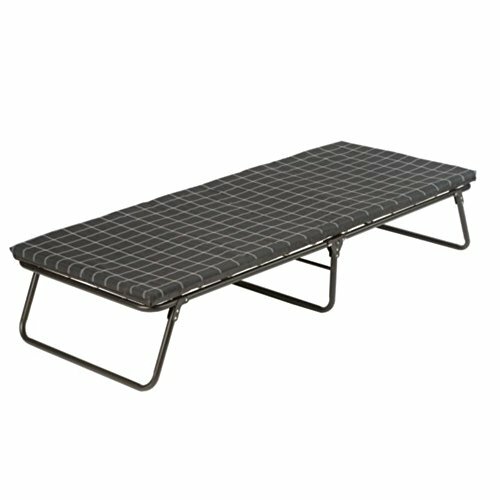 Best of all, this cot makes tent camping for people suffering from back problems not only possible, but extremely comfortable. Due to this cots size it is best suited to car camping. And most people find that it is best if you have a SUV or van for transporting this cot. 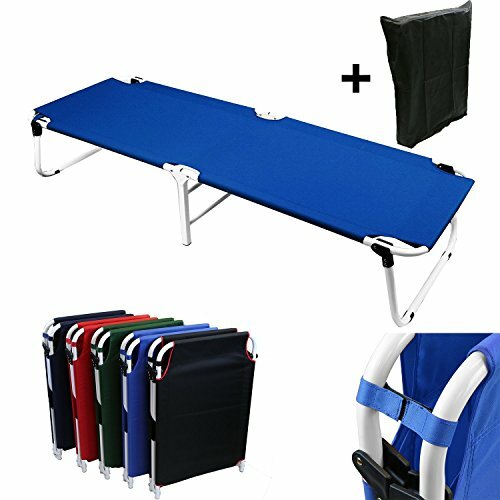 Magshion*Portable Military Fold Up Camping Bed Cots + Free Storage Bag – 5 Colors (Blue) This Magshion Portable Military Fold Up Camp Cot with Storage Bag measures 13.5” X 24.5” X 72” and comes in 5 different colors. This cot weighs 8 pounds and it is easy to fold up and down and comes with its own storage bag to keep it clean between uses. This cot has a weight capacity of 300 pounds. People who purchased this cot really find it to be comfortable. The cot itself is lightweight and sturdy. And they like how easy it is to set up and take down. Best suited for car camping, this cot can make tent camping more comfortable for anyone who dislikes sleeping on the ground. 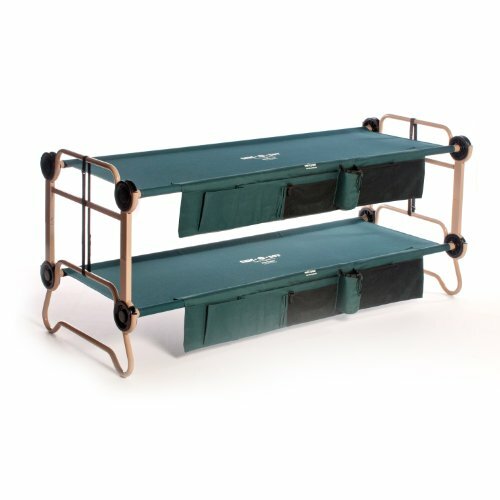 Disc-O-Bed Cam-O-Bunk Cot with 2 Organizers, Large If you are family camping one cot may not be enough to allow your entire family to sleep in comfort. So this Disc-O-Bed Cam-O-Bunk Cot may allow everyone to sleep comfortably while still conserving valuable tent space. This Disc-O-Bed can be used as two single beds or as a set of bunk beds. Each bed measures 79” X 34.5” X 32” and can tolerate weight up to 500 pounds per bed. It also features a polyester sleeping deck for more comfort, making it one of the most comfortable cots for camping. In addition, you can purchase leg extensions for those of you who want the lower bunk to be taller. Users find this bed to be excellent and there are several reasons why. These include the fact that these beds are easy to assemble and incredibly comfortable. Users also find it to be one of the best camping cots for kids. There are side storage areas for both beds that are perfect for storing your glasses and other small items. 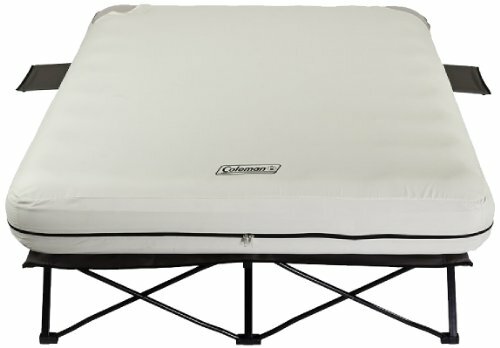 Coleman Queen Airbed Cot with Side Tables and 4D Battery Pump The Coleman Queen Airbed Cot with Built in Side Tables and 4D battery pump is perfect for camping couples who want to sleep together. This air bed cot consists of an elevated platform that supports a queen size airbed. This cot is designed to bear couples who combined weight is 600 pounds or less. The airbed has a built in mattress cover for the air mattress that will keep the mattress from sliding on the platform. This queen size airbed cot is designed to keep you from ending up on the ground even if your air mattress loses air. The bed also sets far enough off the ground that you can store items under the bed to save space. This airbed is perfect for families who have cabin style tents. If you are the type of person who find air mattresses leaky and unreliable you can use the bed without a mattress. And instead use a foam cushion (custom made) in place of the air mattress. 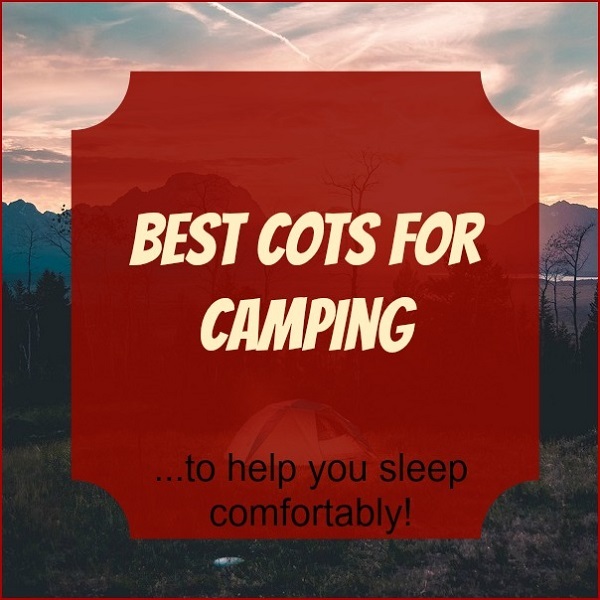 If you are looking for a comfortable camping cot, one of these best cots for camping may be just what you are looking for.